Brazil’s postal service Correios and local passenger airline Azul have gained antitrust approval for their joint venture to create a logistics platform serving Brazil’s e-commerce sector. 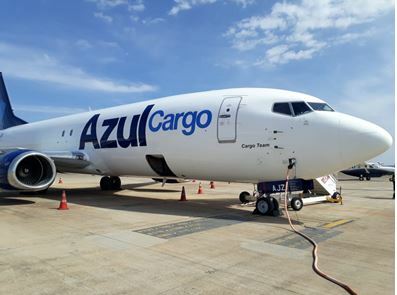 The December 2017 Memorandum of Understanding (MoU) between the carrier’s Azul Cargo Express unit and Correios to create a logistics company has been cleared “without restriction” by Brazil’s competition authority, the Administrative Council for Economic Defense (CADE). CADE said that final approval is still subject to a possible third party appeal or request for review by CADE’s Tribunal, which can be made within 15 days from today, pursuant to the applicable law. In the original MoU, the joint venture partners said that the new company “will allow the expansion of logistics services and products to locations not yet attended”. Activities were expected to begin in the first half of 2018, although the timeline lengthened. Azul, hubbed out of Viracopos airport, is the largest airline in Brazil by number of cities served, and offers 755 daily flights to 104 destinations with a fleet of 118 aircraft. The new company will have a 50.01% ownership stake by Azul and 49.99% by Correios, and will offer “integrated logistics services for cargo transportation, to become the best logistics platform for e-commerce in the country”. Drawing on existing volumes from its joint owners, it was estimated in the MoU that the new company will handle around 100,000 tons of cargo per year,.